Frieda Loves Bread: Cooking A Grass Fed Steak! 0 Cooking A Grass Fed Steak! 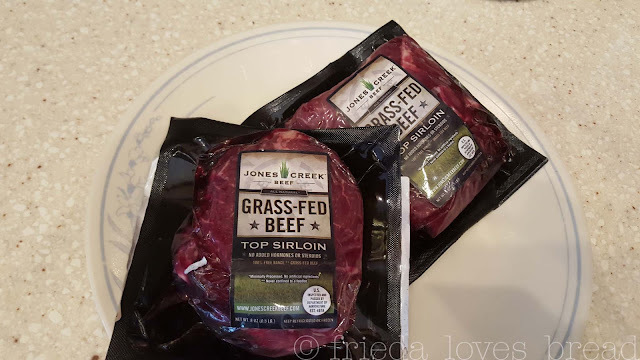 I received an opportunity to try grass fed beef from Jones Creek. My first attempt created a very well done cut of beef and I learned the hard way that there are at least 5 Rules for Cooking with Grass Fed Beef. Grass fed beef is a very lean cut of meat and needs a different approach to cooking. First, never thaw your beef in the microwave. Always in the fridge. Next, I choose a method that my oldest son likes to use when cooking thick cuts of steak. Set your oven for 225°F. Instead of using my oven, I thought I would try the outdoor gas grill. 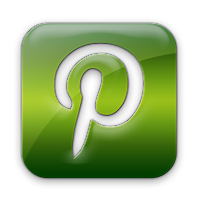 Let me tell you, you will get better results using your oven! You don't need any fancy ingredients or marinades. 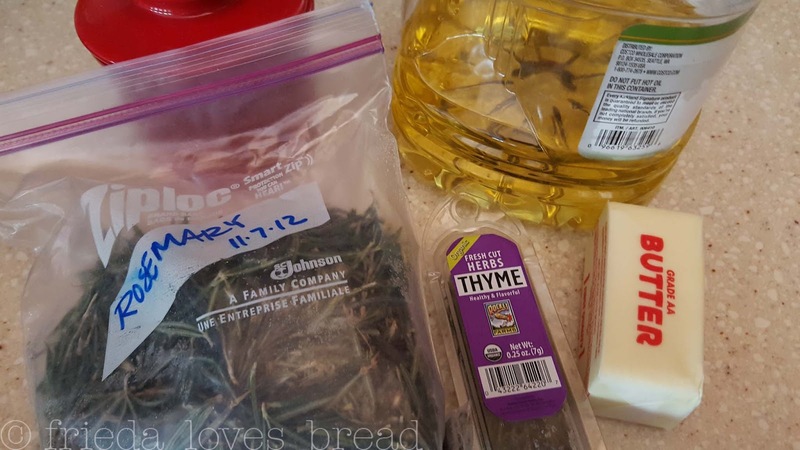 Rosemary, thyme butter and oil is all you need. 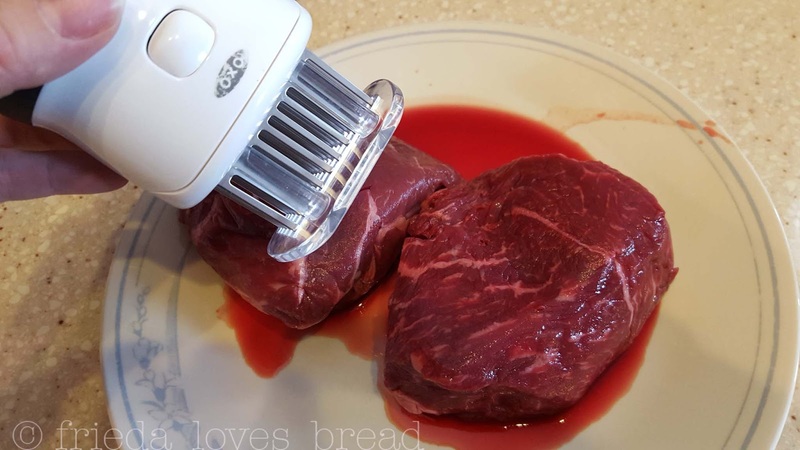 You can use a meat tenderizer, if you want. Not necessary, but it does help to cut the lean fibers of meat into shorter strands for a less "chewy" meat. Plus, if you do use a marinade, it allows the marinade to enter the meat more easily. See how fresh and red this meat is? That's a good sign. I had a difficult time keeping the grill temperature at 250°F. The wind kept blowing the flames out and I had to watch it constantly to keep the temperature going. Ugh. Don't do that. Bake your steak. Yes, you heard me. Bake it till it reaches the internal temp is 10° before your desired final temperature. Baking a 1-1.5" steak will take anywhere from 45 minutes to an hour. Check at the 40 minute mark with a thermometer. My son likes his steaks rare. Umm.. me? I would say medium to well, which is closer to 140°F. 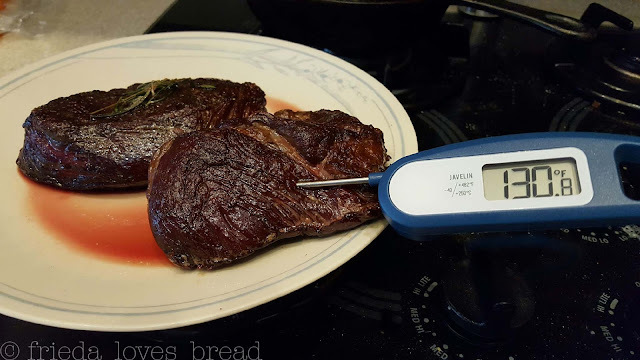 Use a good instant read thermometer to determine the correct temperature of your meat. Insert the probe into the thickest part of the cut. Sear your cooked steaks in a HOT pan with a mix of butter + oil. Oil keeps the butter from burning. Throw in your herbs and spoon the mixture over your seared steaks. This is called, "Reverse Searing." This produces a charred crust that is desirable in a great steak. Me? I like just a wee touch of pink. The next steak experiment will be just for me! If you want to give grass fed beef a try, it is worth it. You can find Jones Creek Beef in your Walmart store or contact them for the nearest location to you. 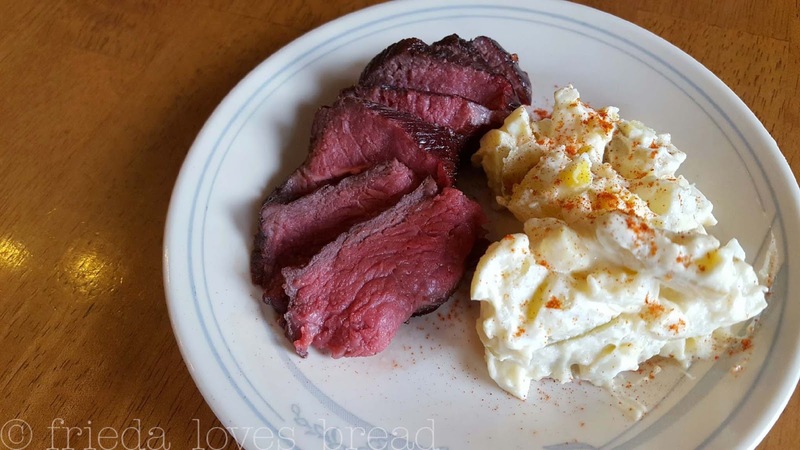 I was provided some samples of beef to try for this post. 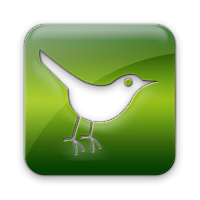 All opinions are mine.